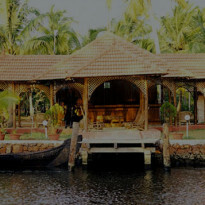 fter breakfast, check out from the houseboat, and then transfer you to a beautiful Backwater Resort (35 Minutes Drive). On arrival check in to the Resort. Afternoon you can do boating, fishing and sunset cruise in the evening. Overnight stay in the resort. Day out leisure .Overnight stay in the resort. 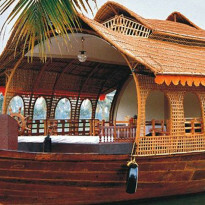 Munnar is at the height of 4420 feet above sea level and is situated at the confluence of three mountain streams. 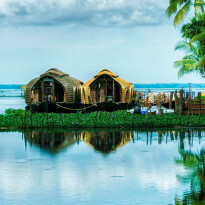 Munnar offers spectacular views of the craggy peaks, manicured tea plantations, picturesque towns and winding lanes. On arrival check into hotel, after lunch Half Day sightseeing covering Echo Point famous for its Echo Phenomenon, Mattupetty Lake & Dam, Lock Heart Gap known for its panoramic views. Evening free at leisure. Dinner. Stay overnight. fter the breakfast it‘s the time to depart to your onward destination, with heart filling memories. Drop at Cochin Airport/Railway Station.